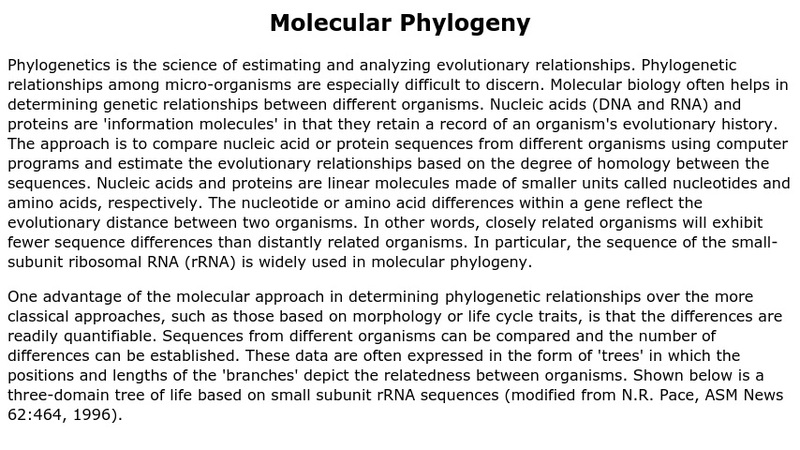 A concise description and representation, of the shared common ancestor of all life on Earth and the science of phylogeny using molecules as a basis of the tree's organization. The page also contains links to What are protozoa? Protozoan taxonomy, and Study Guides.